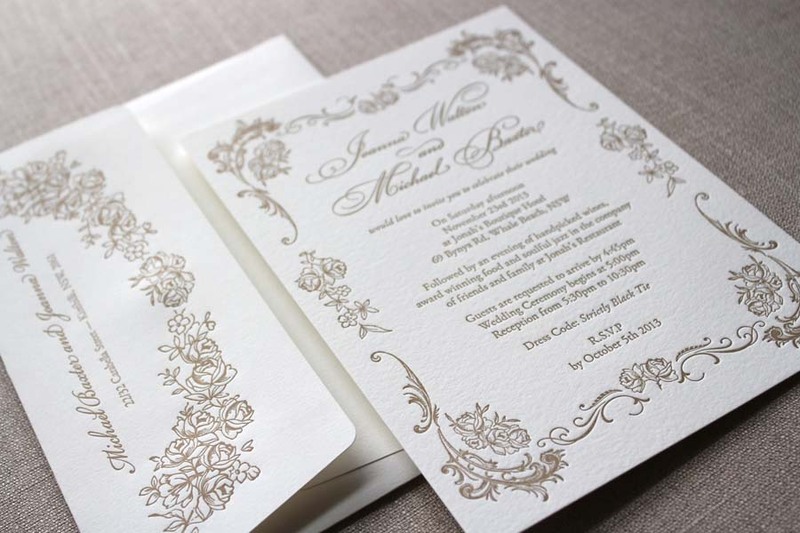 Versailles: This design features roses and open scrollwork inspired by a bride’s wedding gown and the beautiful French gardens of Versailles itself. 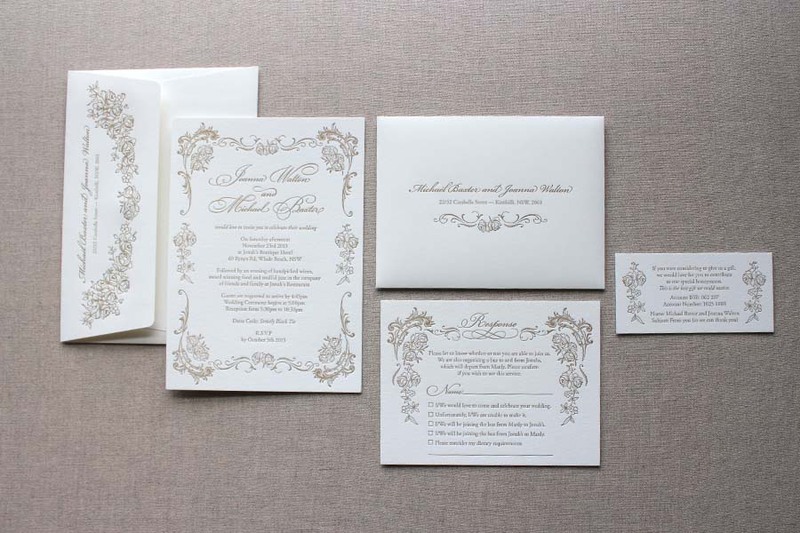 Elegant and feminine, this suite is letterpress-printed on soft 100% cotton paper. 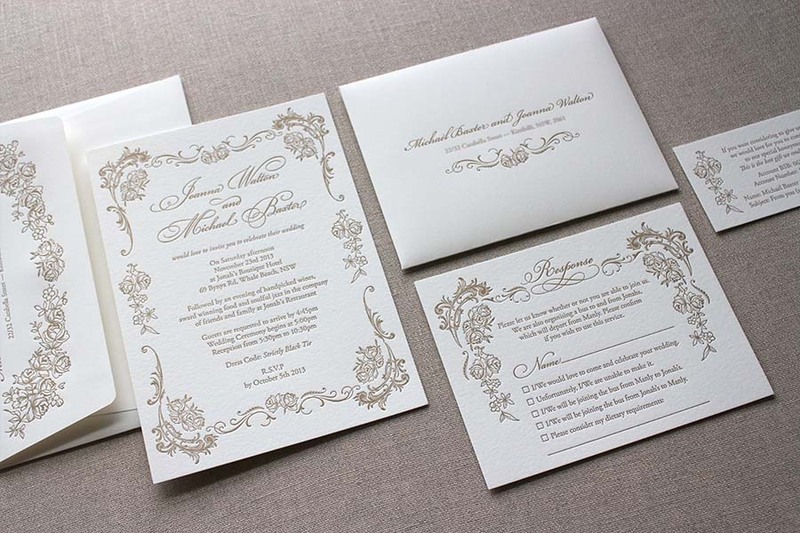 Joanna and Michael chose to have the design printed in one color gold ink. The effect is simple and classic. 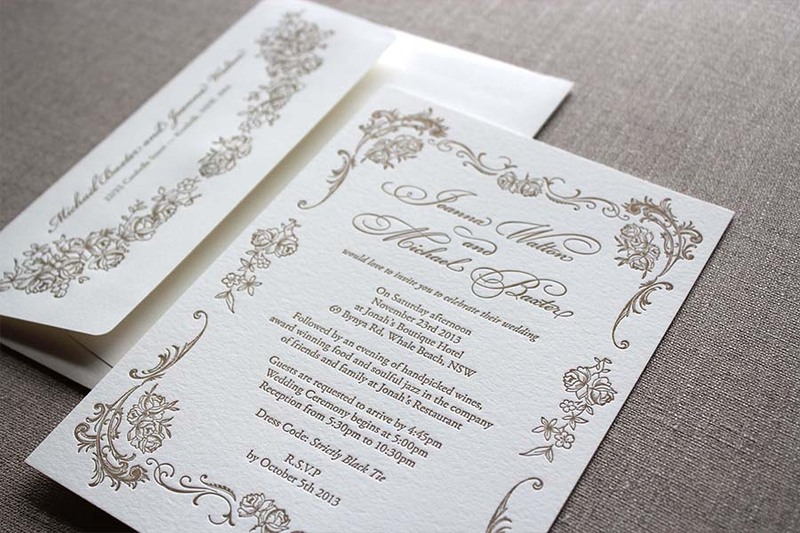 * We will do our best to ship the design requested depending on availability. If unavailable, other samples will be sent to view the quality of our work.